In 2010, a historic Supreme Court decision was made. However, many American citizens remained blissfully unaware of it. The decision happened just a few years into President Barack Obama’s first term, and the results have been disastrous. The case was called Citizens United v. Federal Election Commission, and it transformed the political system as we know it. As the news circulated around the internet, the catchphrases that became most popular cited corporations having the same First Amendment rights as individuals. Although only five out of nine justices voted for it, that was all it took for the case to become law. This case is often criticized for what has come as a result of it; now, billionaires with conservative views have felt free to spread their largesse far and wide. The worst part is that they don’t even have to put their name on the PACs they’re supporting. Foreign agents can funnel money through multinational companies in order to hide where the cash is coming from, and those who are concerned about campaign finance have spoken up about this multiple times. Support is across the aisle for Citizens United to be overturned, with Senator John McCain calling this case “the worst decision ever” made by the Supreme Court. Obviously, Democrats are even more concerned. Wealthy Republican donors such as the Kochs, the Waltons and the Mercers have been filling the coffers of the Republican Party ever since the decision was made. The whole situation erupted back in the year 2010, when a group of Republicans who called themselves Citizens United decided to produce and air a tawdry, salacious documentary about Senator Hillary Clinton, who was then running for president. Entitled Hillary: The Movie, the video spewed negativity about the Clinton family in general. And many believed that it crossed legal lines, veering into a territory that no one had dared to breach prior to this moment. The Federal Elections Commission (FEC) demanded answers—and it demanded that the people behind the video reveal themselves. However, this was not to be. Instead of revealing their identity, they went to battle in court. And once a federal judge ruled that their actions were indeed illegal, they took it to the Supreme Court. To the shock of a nation, the court overruled the federal judge that instructed Citizens United to stop their tactics. At first, it was the kind of ruling that dominated the airwaves on NPR but didn’t attract much attention. But it wasn’t long before groups like End Citizens United started to pop up. 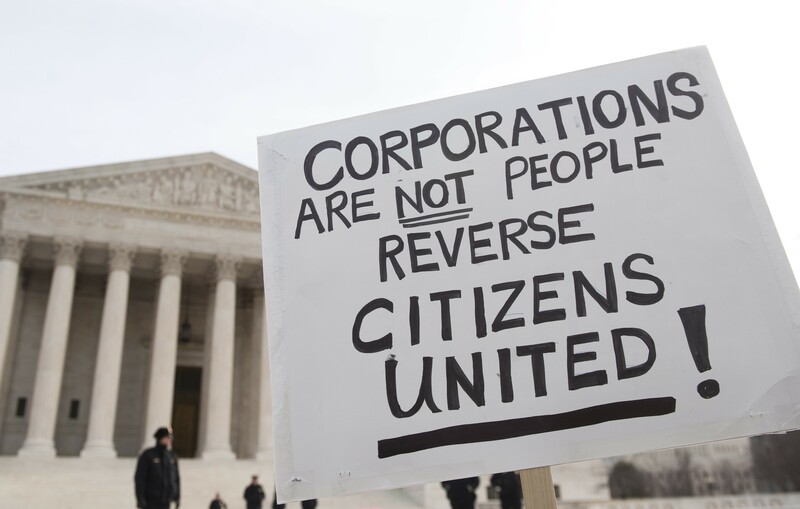 Founded three years ago, End Citizens United is an organization that aims to get corporate money out of politics. Comprised of individuals who truly care about bringing fairness back to the political system, this is a group that believes corporations should not be allowed to influence elections by injecting dark money into them. End Citizens United seeks to stop political mega donors in their tracks, leaving elections to the American people and not faceless corporations. In the coming months and years, it should be interesting to see how much progress this group makes. Justice John Paul Stevens’ rebuke of the decision was a startling reminder of just how much damage this unchecked power can do to our country.